This statistic displays the number of employees in the major segments of the medical technology sector in the United Kingdom (UK) in 2017. The medical technology sector applies the knowledge and experience of the health sector to medication, medical equipment, vaccines, medical practice and organizational systems. 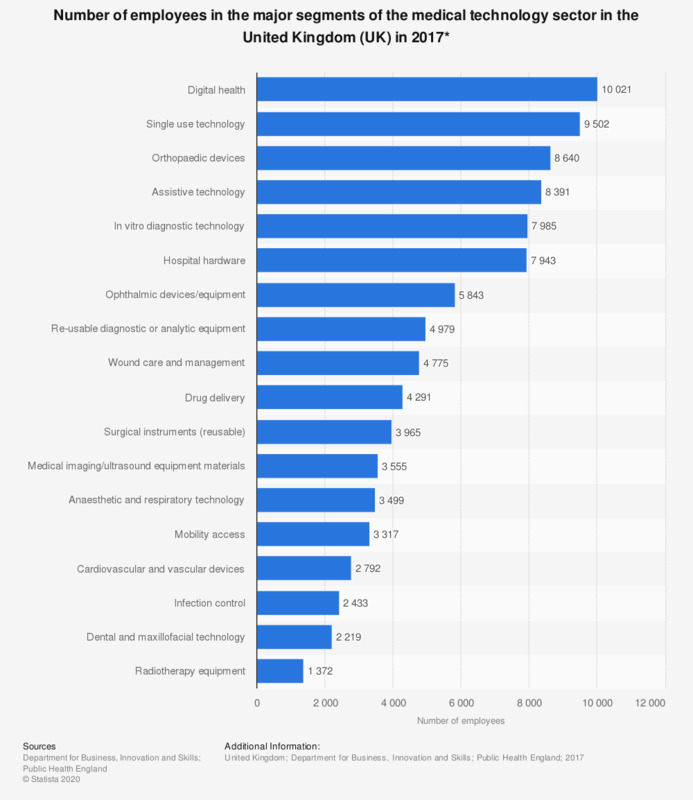 The digital healht technology segment employed over 10 thousand people, the largest number in 2017. This was followed by the single use technology segment at 9,502 employees. The segment with the lowest number of employees in 2017 was the education and training segment at 1,372 employees. * Only segments with more than 1,000 employees.